Sunset Tower is located at 8358 Sunset Blvd. in West Hollywood, CA and was completed in 1931. This building was designed by Leland A Bryant. Sunset is also known as The Argyle and the St. James Club and is considered the art deco gem of LA. 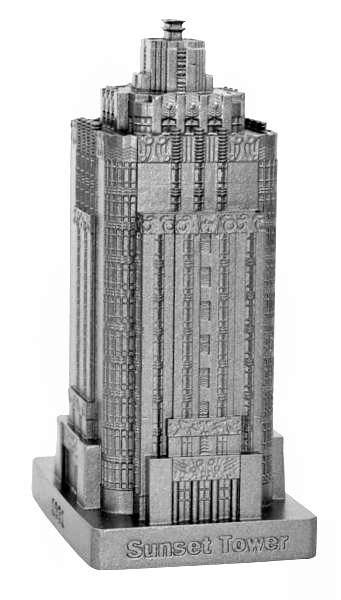 This pewter replica stands 4-3/4 inches tall and is finished in new pewter. This is one heavy replica! I love the details.. Its so much fun to look at.. A true LA landmark..